Mary Elizabeth Claiborne was born on 11 May 1827 to Ephraim and Polly Claybourn in Tennessee, probably in Wilson County since her family is listed there in the 1830 census. She married on 14 December 1849 to William Lafayette Walker (c. 1826-1898). Mary died in about 1857 in Jefferson County, Illinois. The location of her grave is unknown, but due to many of her relatives being buried at Jordan Chapel Cemetery, it is possible she is buried there as well. William married (2nd) to Malcenia Poindexter (c. 1834 – c. 1864) on 8 August 1858 in Jefferson County. The family is listed there in the 1860 census. 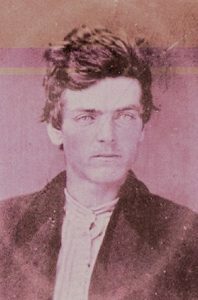 He married (3rd) to Margaret Jane Stephenson (1836-1919) on 11 October 1866 in Franklin County, Illinois. 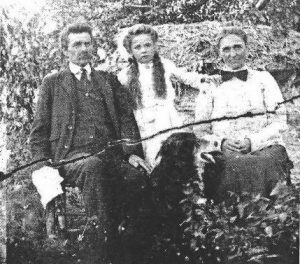 The family moved to Reynolds County, Missouri, in about 1868 where they are listed in the 1870 census. In the 1880 census the family is listed in Carter County, Missouri. James Ephraim Walker was born on 17 July 1851 in Macon County, Tennessee. 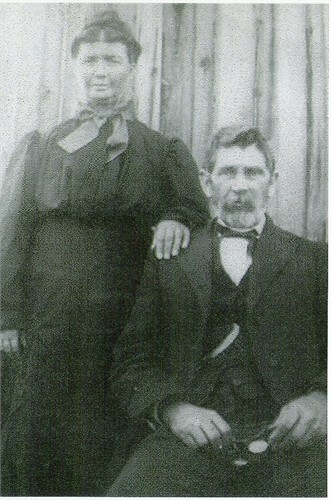 He married Emily Barnes (1855-1916) on 4 June 1874 in Reynolds County, Missouri. Here is a photo of James and Emily and their youngest child. James died on 21 July 1933 in Reynolds County, Missouri. Augustus Monroe Walker was born on 11 February 1875 in Reynolds County, Missouri. He married Mary Friedrike Holm (1889-1979) on 8 March 1908 in Twin Falls County, Idaho. Augustus died on 28 July 1952 in Gooding County, Idaho. Radford Holm Walker was born on 26 May 1909 in Twin Falls County, Idaho. He married Ellen Sarah Craven (1911-1999) on 4 February 1935 in Box Elder County, Utah. Radford died on 6 June 1993 in Twin Falls County. Emily L. Walker was born on 30 December 1910 in Twin Falls County, Idaho. She married Milton R. Ballard (1908-1986) on 2 January 1932 in Twin Falls County. Emily died there on 20 May 1986. Claressa Walker was born on 1 November 1876 and died on 18 May 1878, both in Reynolds County, Missouri. 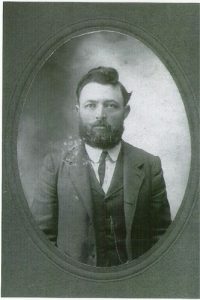 Aaron F. Walker was born on 21 November 1878 in Reynolds County, Missouri, and died there on 4 June 1899. Charles Huston “Charley” Walker was born on 28 December 1880 in Reynolds County, Missouri. He married a woman named Mary (1883-1966), widow of William Stall (1876-1906), in about 1908. 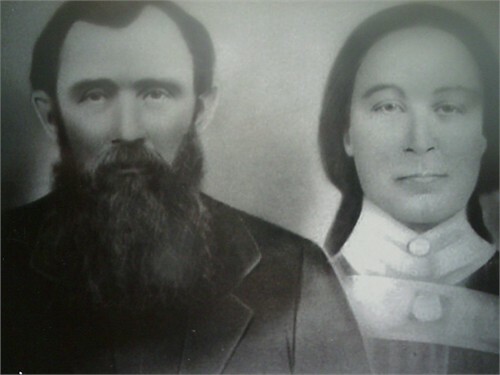 Charley raised Mary’s daughter as his own. Charley died on 3 February 1956 in Wasco County, Oregon. Sarah Alice Walker was born and died on 15 September 1883 in Reynolds County, Missouri. Laura E. Walker was born in January 1886 in Reynolds County, Missouri. She was living as of the 1910 census, probably married to an unknown husband. Essie Mae Walker was born on 5 February 1888 in Reynolds County, Missouri. She married Edward Lee Evans (1881-1964) on 20 December 1908 in Reynolds County. Essie died there on 25 October 1872. Lela Rae Evans (a twin) was born on 11 May 1910 in Wayne County, Missouri. She married Williard D. Fox (1911-1997) on 24 June 1930 in Reynolds County, Missouri. Lela died there on 9 February 1986. Lena Mae Evans (a twin) was born on 11 May 1910 in Wayne County, Missouri. She married first to Clifford C. Wood (1908-1936) on 3 June 1934 in Reynolds County, Missouri, and she married second to Harry Keeney (1910-1992) on 18 October 1980 in Reynolds County. Lena died on 15 February 1999 in St. Charles County, Missouri. Fletcher Douglas Evans was born on 16 March 1912 in Reynolds County, Missouri. He married Hazel Viola Hahn (1913-1989) in about 1938 and served in the U.S. Army during World War II from April 1943 to April 1946. Fletcher died on 19 December 1987 in Reynolds County. Doyle Lindell Evans was born on 9 June 1915 in Reynolds County, Missouri. He married in about 1938 to Pauline Unknown (born in about 1917) and served in the U.S. Navy during World War II from August 1943 to November 1945. Doyle died on 21 May 1986 in Shawnee, Kansas. James Dorse Evans was born on 6 October 1918 in Reynolds County, Missouri. He married Effie Lee Bailey (1922-2007) on 22 July 1942 in Jackson County, Missouri. James died on 13 February 2012 in Shawnee, Kansas. Stella Maude Walker was born on 8 April 1890 in Reynolds County, Missouri. She married Charles Henson (1888-aft1956) on 28 December 1912 in Carter County, Missouri. Stella died on 19 July 1955 in St. Louis City, Missouri. Sara D. Walker was born in February 1892 in Reynolds County, Missouri, and living as of the 1910 census, probably married. Jennie L. Walker was born in May 1894 in Reynolds County, Missouri, living with her parents as of the 1910 census. Winnie D. Walker was born on 31 May 1897 in Reynolds County, Missouri. She died on 14 May 1980 in Tularosa, Otero County, New Mexico. Louis Napoleon Walker was born on 27 September 1854 in Jefferson County, Illinois. He married first in about 1876 to Rachel Lucy Holt (1839-1904), the widow of John Owens (c. 1836 – c. 1875) with six children. Louis and Rachel had a son of their own, James. Louis married second to Susan Malinda Keathley (1859-1946), twice a widow, in about 1906. Louis died on 9 March 1934 in Butler County, Missouri. James Andrew Walker was born on 3 March 1878 in Alabama. He married Nellie Driscoll (1883-1964) on 19 November 1913 in Obion County, Tennessee, and worked as a shipping clerk at a store called Goldsmith’s. James died on 26 February 1956 in Memphis, Tennessee. 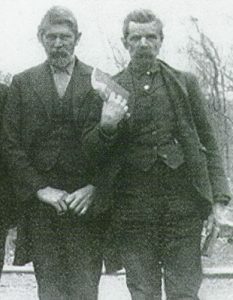 John Murry Walker (a twin) was born on 22 April 1919 in Obion County, Tennessee. He married Alma Violet Butler (1919-1992) on 13 November 1938 in DeSoto County, Mississippi. John died on 18 March 1988 probably in Memphis, Tennessee. Louis Nailing Walker (a twin) was born on 22 April 1919 in Obion County, Tennessee. He married Elizabeth Agnes Mayo (1920-200) on 29 October 1939 in DeSoto County, Mississippi. Louis died on 31 August 1986 in Memphis, Tennessee. Rachel Ellen Walker was born on 19 May 1923 in Obion County, Tennessee. Rachel died on 26 January 1998 in Big Spring, Texas.